If you are a lover of heritage houses, ancient culture, folklore and traditional arts and crafts, DakshinaChitra is the place for you. Located about 25 km from the metro city of Chennai, this centre has been open since 1996 and is managed by the Madras Craft Foundation (MCF). Modeled on the lines of a cultural village, the attraction, whose name literally translates as “picture of the South“, is an open air museum that gives you an authentic picture of the yesteryear life in South India. It is here that you savor some unique experiences including taking a tour of some ancestral South Indian houses, play traditional board games, try your hand at the potter’s wheel, witness basket weaving and enjoy an unconventional puppet show. 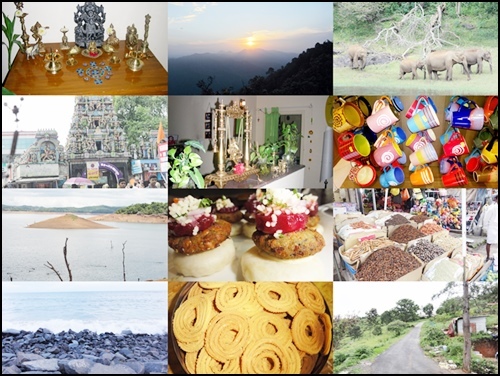 A visit to the centre is an insight into the art, architecture, crafts, customs, culture and traditions of South India. Spread over 10 acres, the centre has 18 heritage houses from the four South Indian states of Karnataka, Tamil Nadu, Kerala and Andhra Pradesh. We were given to understand that these were actual houses that were scheduled for demolition by the original owners but were bought out by MCF. These were subsequently systematically dismantled, transported and recreated retaining all their original features. There are multiple houses belonging to each state, depicting various facets of rural life, of which I absolutely loved the vernacular houses of weavers, potters as well as agriculturists. The architecture, design and the layouts of these traditional abodes is truly fascinating. The best part has to be the fact that the furniture and artifacts part of these homes are also carefully curated to depict the days gone by. There are also models of people in these homes, in action so you can get a great insight into the days of yore. The museum with more than 4000 artifacts on display has some really unique collections pertaining to the art, craft, folklore of South India. Items used in daily life were my favorites especially the various kinds of articles used during worship, vessels and kitchenware. It is truly an engaging day trip with various facilities like a restaurant, library, resource center and a crafts bazaar. You can shop for a wide variety of souvenirs from the outlet here. However what caught my attention were the makeshift stores that are present through the place selling interesting art and craft pieces that make for interesting souvenirs. This is a complete family destination which much to do for kids, whether it is trying their hand at pottery or learn a craft. An in house restaurant also dishes out some delectable fare. The centre even offers workshops in crafts like painting, pottery and jewelry making. Just make sure you keep aside a few hours to explore the place in its entirety. This is a trip down memory lane and one that you will not forget in a hurry! Agreed. One of the best kept museums I have encountered in India. Been there few years back. True; it is very unique and informative. Great read as always and insightful…Would love to visit this place! Thanks Divya; again “your kind’ of place; you will enjoy am sure. So you have lots to see next time you come home!!! 1200th comment on Rashminotes! (Well, now 1201). Beautiful images. Will love to visit the place in my next visit to Chennai. Sure sir; will love to hear your views on the place! This is a magical world where we are transported back in time and remain blissful with the timeless and priceless pieces of art! Nice Rashmi.. Exactly Sunitha; really a great place that bring back fond memories! 4000 artifacts!!! That’s massive….beautiful coverage. Thanks a ton! It is a unique place. That is for sure a wonderful place. Hope I can visit this place some day. Yes Indrani; it is a great place! Wow. Gorgeous! Didn’t know of this place…I love it already. Wish I knew about it when we had visited Pondicherry. 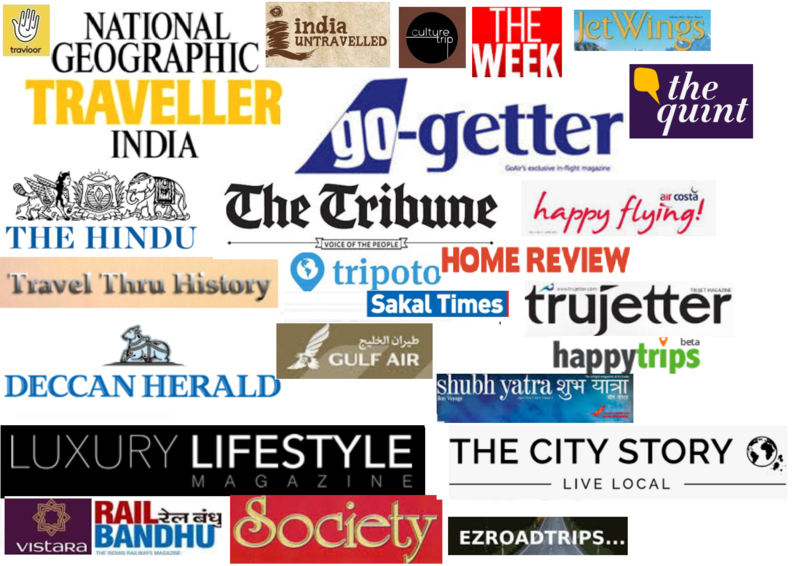 Thanks for reading; hopefully you can visit next time you are in Chennai/Pondy. Thanks Brunda! You must visit when you go to Chennai next:) I am sure you will like it. Fascinating place to visit. Lovely photo essay! Thank you soo very much Indranil; you are really kind. It is really encouraging to hear your feedback. This looks awesome….and I love that the structures were saved! Yay for historic preservation!